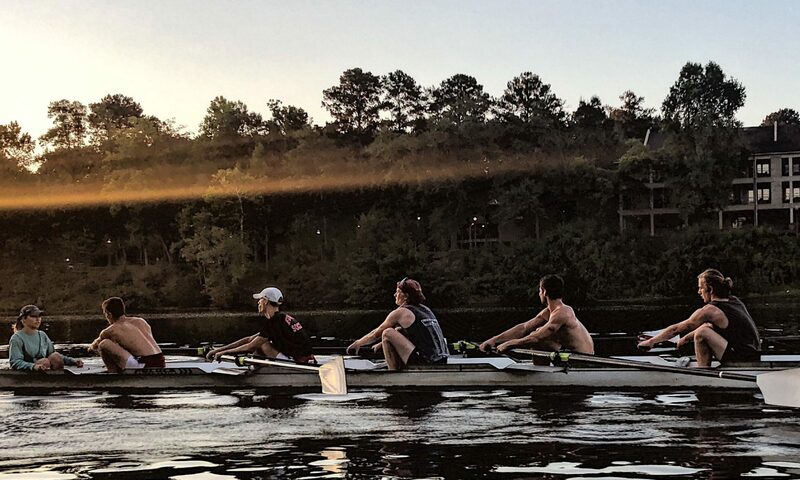 April 30th Alabama Crew Club competed with Alabama Adapted Athletics in the Junior League of Tuscaloosa’s 5th Annual Dragon Boat Race on the Black Warrior River. The boat (Lights-Camera-Row) was sponsored by WVUA-23 and OLLI at UA. After finishing first in both heats Lights-Camera-Row advanced to the finals where we finished 3rd overall. Taking home the bronze, Light-Camera-Row consisted of athletes from the men’s wheelchair basketball team, women’s wheelchair basketball team, and rowers and coxswains from Alabama Crew Club.